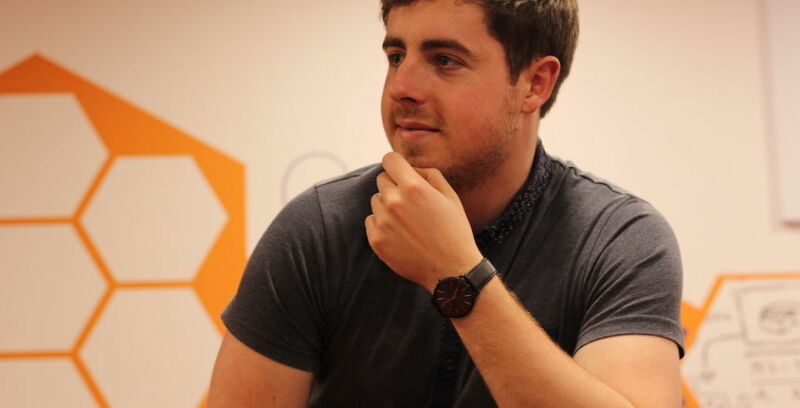 Dylan Commons is an entrepreneur who believes Galway is the best place to start a business in Ireland. He also thinks startups need to focus on sales, not just raising funds. I founded Happi Digital with my business partner Rob, in June 2017. Since then it’s been hands-on, learning the different processes and making the business operate in a seamless and efficient manner. We are involved in all elements of business, from business development to video marketing, website design and helping clients reach and communicate better with their customers online. I am most interested in growing businesses, self-learning and meeting like-minded people. I have been obsessed with the business since I was in my teens, starting my first business in the first-year of college, which was a gym clothing company called Gym-Cross where I imported clothing from Pakistan with our brand and sold it through a website. Happi Digital is my third business. On a micro level, my business partner and I are focused on providing a superior business to business service within the digital marketing space. On a macro level, my ambition is to build multinational businesses, with the aim of accruing a significant amount of wealth. The objective is to give the majority of my wealth to charities focused on providing opportunities to people in the developing world. The times I have felt the most fulfilment is when I am giving back. The love for what I am doing and the fact that I take responsibility for the daily decisions that have to be made. Being in a 9–5 job, working towards somebody else’s goal just isn’t for me. The control I currently have and the direction my life is going allows me to pursue my vision for the future. Self-motivation is a huge part of my life, and will always be a work in progress. I believe you should be able to motivate yourself to do what is required to achieve your goals. However, if I am feeling down in the dumps, I just remind myself of how lucky I am to have been born in the developed world with so much opportunity and prosperity. Richard Branson; Mark Zuckerberg; and Bill Gates. What are we doing well in Galway? As an entrepreneurial hub, Galway is one of the best in Ireland and is rapidly growing. There are so many supports available from the Bank of Ireland, the Local Enterprise Office and the Portershed to name but a few. Galway also has a thriving community of ambitious entrepreneurs who are very welcoming and eager to meet and help like-minded entrepreneurs. With affordable living costs and a significant entrepreneurial community, I feel Galway is the best place to start a business in Ireland. What way could the city improve? As good as Galway is there is always room for improvement. I feel within the startup community there is a significant emphasis on raising capital, which is excellent and is necessary for a lot of startups. However, I think founders should be encouraged more to go out and make sales and start generating revenue from their product as soon as possible. Getting out to the market is the most efficient way to identify whether or not your startup is feasible. If entrepreneurial programmes in Galway were more focused on encouraging the startups to go out and understand everything about their customers and the industry, I feel the success rate amongst startups in Galway would be much higher. The people, and the city’s atmosphere. Along with being a great place to start a company, Galway is also a great place to live and make some lifelong friends. There is always something happening in Galway to keep your mind occupied when you need to take a break from your business. A brilliant business plan template. Start now.